How many of you have ever visited St. Lucia? Personally, I have never visited but it is on my travel bucket list for sure! I love warm, tropical destinations with beautiful coastlines and accommodations! This looks like a beautiful place! I was asked to share the following information with my travel blog readers. If you need additional information, please click through the link within the post. Enjoy! Book 4+ nights at this stunning seaside retreat, and stay an extra night at no additional charge. 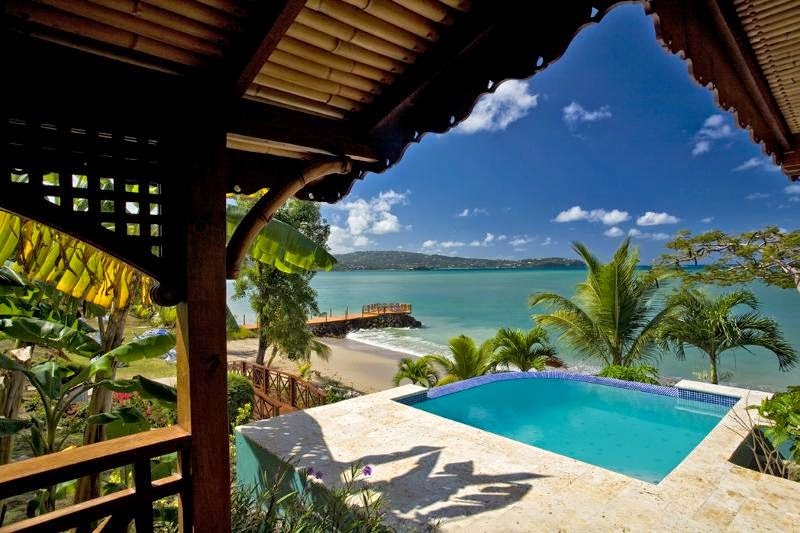 St. Lucia, West Indies --- Let those dreams of escaping to beautiful Saint Lucia take flight with special savings at its most charming luxury boutique retreat: Calabash Cove Resort & Spa. Book four nights at Calabash Cove's standard rates (travel by December 20, 2014) and receive a fifth night's accommodations at no additional charge during your stay at this idyllic retreat, nestled on a lush, tropical hillside sloping gently toward the turquoise waters of the Caribbean Sea. Relax in your luxurious accommodations located just steps from-or right on-the beach, featuring private, furnished balconies, Jacuzzis, and views of the dazzling blue Caribbean Sea. Wade into a million gallons of sweet water in our designer pool with an amazing 40-foot infinity edge capturing your imagination far beyond the sea. Take a dip in in calm, clear waters of Bonaire Bay, or use our complimentary kayaks located on the beach to explore the shoreline. Or, let Calabash Cove's concierge service help arrange a plethora of other activities on the island. Whether its hiking the island's iconic Pitons, side-by-side volcanic peaks, or sailing on an authentic pirate's galleon, soaking in hot springs, cooling off under a waterfall, zip-lining through a rainforest canopy, exploring a working cocoa plantation, enjoying the island's best street parties or shopping in a quaint fishing village, St. Lucia has something to please everyone. Calabash Cove is home to the full-service Ti Spa, which overlooks the resort's oversized Sweetwaters infinity pool poised at bay's edge and the wide expanse of the beach, as well as the acclaimed Windsong Restaurant. Enjoy seasonally inspired dishes made from the freshest local ingredients and unobstructed views across the Caribbean Sea as you dine. Complimenting Windsong's elegant milieu is the convivial C-bar, which serves international cocktails and fine wines from the Calabash Cove Cellars amid lively island music. To make reservations at Calabash Cove Resort & Spa, call 1-800-917-COVE (2683), contact your preferred travel agent. Calabash Cove can also be booked through leading tour operators, including Travel Impressions, Flight Centre and The Mark Travel Corporation.